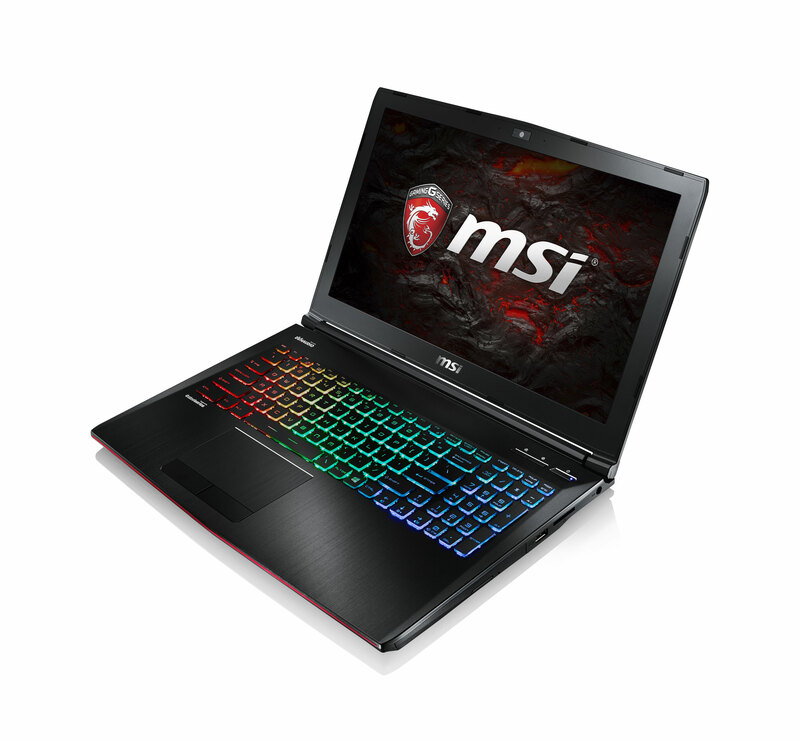 MSI ups the ante with the release of their new notebook products equipped with the powerful NVIDIA GEFORCE GTX 10 now up for pre-order. 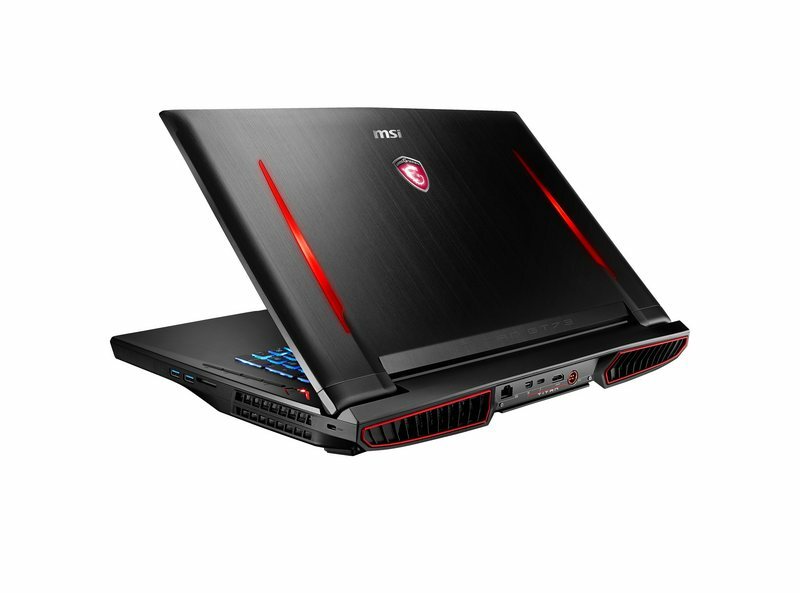 Gaming is life and the new MSI notebooks from the GT series, the GS series and the GE series offers some incredible gaming experience. Nothing can compare to the power of their machines from the GT83VR Titan SLI with the GEFORCE® GTX 1080 SLI, the GS63VR Stealth with GEFORCE GTX 1060, the GT72VR’s GEFORCE GTX 1070. 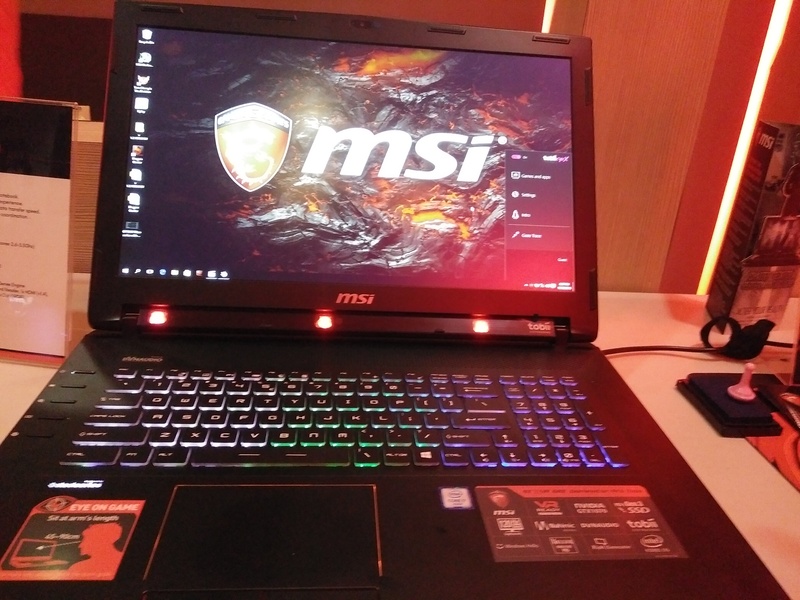 MSI always be the 1st one with top level GEFORCE® GTX SLI graphics in the market, and always have new ultra slim gaming notebooks with enthusiast GEFORCE® GTX graphics in the market every year. The GEFORCE® GTX 1080, GTX 1070 and GTX 1060 are same architecture, same CUDA cores and same performance as desktop graphics, that’s also why that NVIDIA removed the initial “M” in the back of the mobile platform GPU. Gamers and power users are looking forward to our latest gaming notebooks to have better gaming experience in each segment of the product, also comes with better cooling design, better 100%sRGB display and sound experience than other competitors! 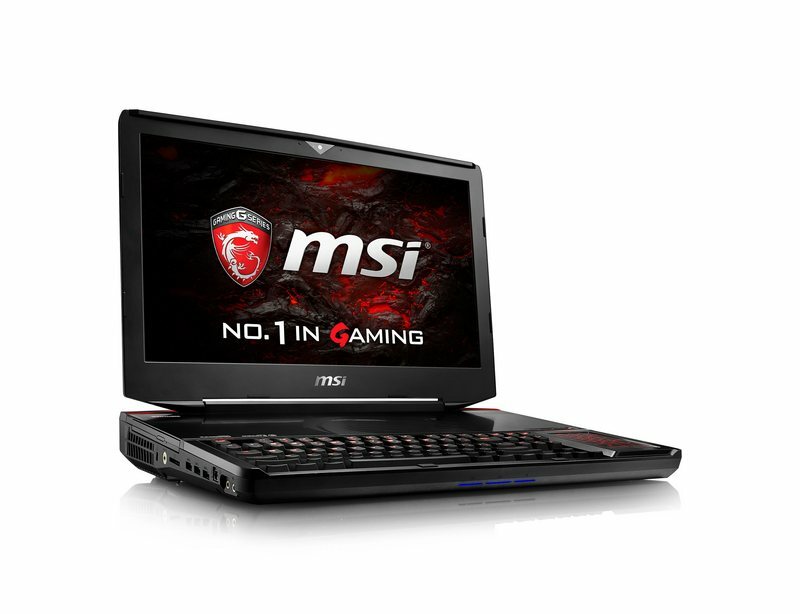 MSI Philippines Notebooks are available at all our authorized dealers. MSI GT83VR Titan SLI is the King of latest generation of the SLI platform design and fulfills the highest VR Ready standards. The GT83VR Titan SLI has an enhanced Cherry MX mechanical keyboard with red-color backlight and SteelSeries Engine 3 of Macro Keys setup. It supports GEFORCE® GTX 1080 of dual graphics, making it ready the top power system for all VR gears on the market. Better yet, MSI Matrix Display technology supports Surround View Mode, 3x4K@60Hz output for 3 external displays, delivering an immersive, smooth and true-to-life surround gaming experience. For the high level sound system, the sound by Dynaudio speaker system and Nahimic 2 presents great sound experience, the finest headset AMP by ESS SABRE HiFi DAC presents 32bit/384kHz Hi-Res Audio quality which is 16x more sound detail than CD audio, which could makes any of your high-end headset performance with its best experience ever! “Cooler Boost Titan” is the key for GT83VR that have the capability to resolve the heat from extreme GEFORCE® GTX 1080 SLI graphics and overclocked Core i7 K series CPU for advanced gamers and power users, afford over 600W TDP of the heat generated from CPU and Graphics. The latest 17.3” mobile powerhouse, MSI GT73VR Titan Pro supports GeForce® GTX 1080 graphic card. 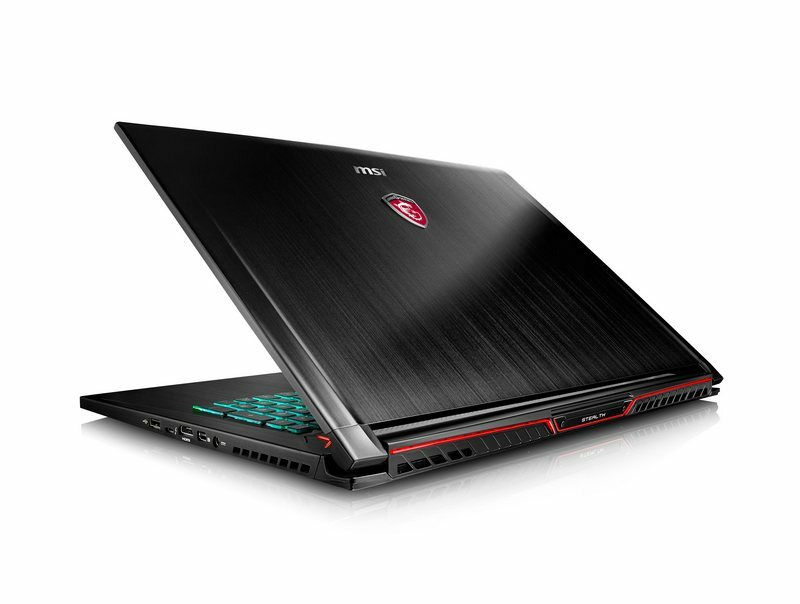 Remarkable graphic power makes GT73VR Titan Pro a powerful VR gaming laptop as well as an awesome machine to play games at 4K settings under 3-monitor Surround View Mode. Furthermore, GT73VR Titan series is the world’s 1st one comes with 120Hz/5ms display of Full HD resolution, this panel also presents 94%NTSC color range and 100%sRGB color calibration with more vivid color present for gamers’ eagle eyes. The “Cooler Boost Titan” cooling design is the key for the extreme graphic platform. It also has dual powerful Whirlwind blade fans with 29 ultra slim blades and 10~12 heatpipes depend on different models. This is the best design for GeForce® GTX 1080 graphic card for extreme gaming experience. It’s also overclockable with its own Turbo Mode for models that are powered by the Intel® Core i7 6820HK processor, unlocking the highest level of performance matched only by MSI’s finest cooling design to date – not to mention with lower power consumptions. The Dynaudio speakers on the GT73VR Titan are something to be experienced to appreciate. No matter if it’s games, music, or even action movies, the GT73 is capable of a maximum 102dBA volume at user position, with better sound stage and more detail, allowing you to delve deeper into your own world. The latest powerhouse of mobile platform, MSI GT72VR Dominator series enhanced the cooling design become “Cooler Boost 4” to support the latest GEFORCE® GTX 1070 graphics for smooth VR experience with HTC VIVE Optimized performance. With Sound by Dynaudio, Nahimic 2 and Audio Boost 2, the GT72VR series embedded with very good sound system. For a better vision experience, GT72VR Dominator is capable to embedded with 120Hz/5ms fastest mobile display with 100%sRGB ready that gives gamer or game designer different usage to take the lead in the gaming field in advance. It’s packed with 1 M.2 SSD for NVMe or SATA storage combo design, and 1 more port for HDD. 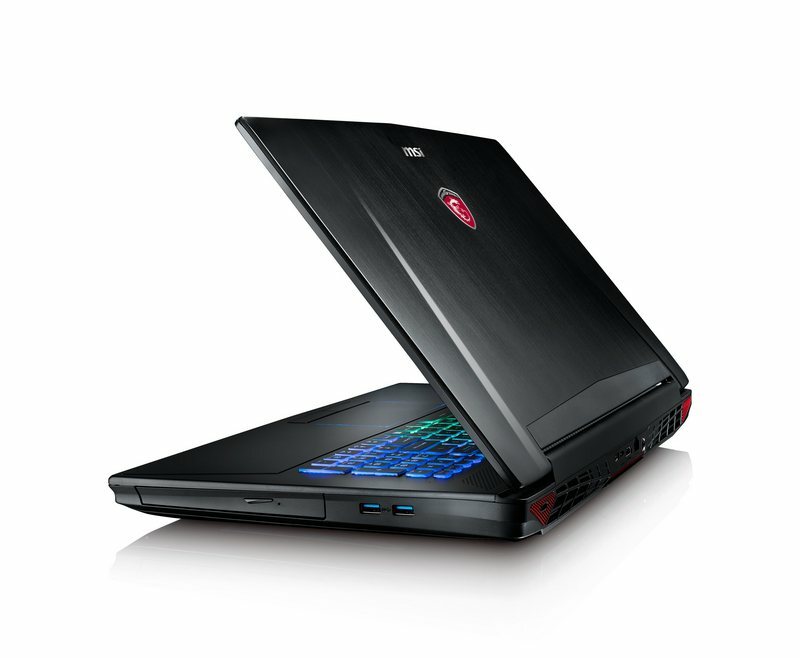 GS73VR Stealth Pro utilizes high density aluminum alloy to form the main body. The delicate brushed metal mixed with an elegant full-arc shape offers a new gaming style that’s hard to match. With mobile GeForce® GTX 1060 graphics and Cooler Boost Trinity cooling solution, the GS73VR Stealth Pro reliably delivers stellar performance in the heat of battle. Moreover, it comes equipped with powerful gaming features, including SteelSeries gaming keyboard, SteelSeries Engine 3 software, True Color Technology, ESS SABRE HiFi Audio, Nahimic 2 Audio Enhancer and more, all in an ultra slim chassis. High performance gaming should not always come with a high price tag. This year, MSI has prepared the GE72VR and GE62VR Apache for the high performance entertainment platform. As affordable gaming notebooks powered by GeForce® GTX 1060 graphics, the GE72VR and GE62VR Apache are designed with the latest Cooler Boost 4 powerful thermal design, with dual fan and 6 heatpipes to keep them cool and quiet when gaming. 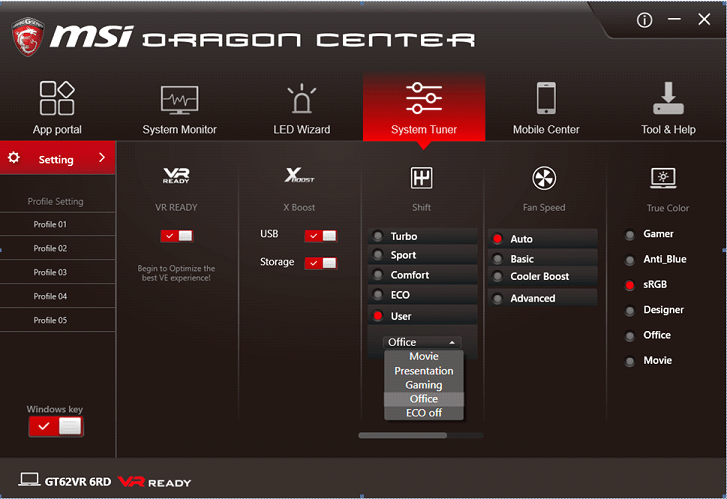 The SHIFT function from Dragon Center control panel could set high performance Core i7 CPU and GeForce® GTX 1060 graphics to keep them at the highest level of performance, which is a boost for gamers. Meanwhile, Steelseries multi backlit keyboard, Nahimic 2 sound system with Dynaudio speakers, Killer LAN, Gamecaster live streaming software, and WTFast software are all equipped in the GE72VR and GE62VR Apache, offering you a higher level gaming experience. 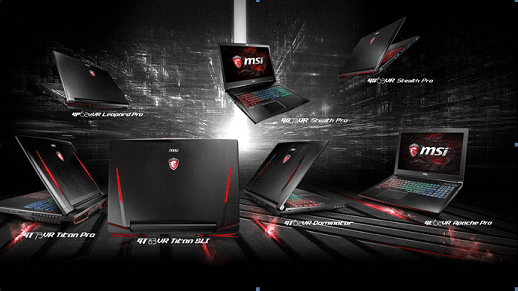 All the latest MSI Gaming notebooks will built-in the latest MSI unique software, the “Dragon Center”. Not only for detail hardware monitoring, but also the best software to manage many of the MSI unique features, SHIFT now upgraded become 4/5 modes depend on your spec combinations, Fan Speed could be manually adjust by users, the X-Boost enable faster access for SSDs, also can manage True Color, and use mobile phones to control or monitoring your notebook status in real time. Pre-Order Now with Extra Freebies and Up to P10,000 discount !!! Thanks to our fans worldwide, MSI now is the leading gaming laptop brand and we try hard to let all gamers experience our latest technology as much as possible. But still, our supply is limited compare to the out-of-expectation strong demand. For MSI fans who stay tuned for a while, paying deposit to our authorized dealers to pre-order when any shortage situation happens, MSI Notebook Philippines now offers reward until our supply can keep up with the demand. Starting today until October 31, for end users who pre-order any MSI VR Ready Notebook will get huge discounts up to P10,000 and exclusive MSI Freebies worth P4,999 including a SteelSeries Siberia Headset, an MSI exclusive notebook and an MSI key chain. 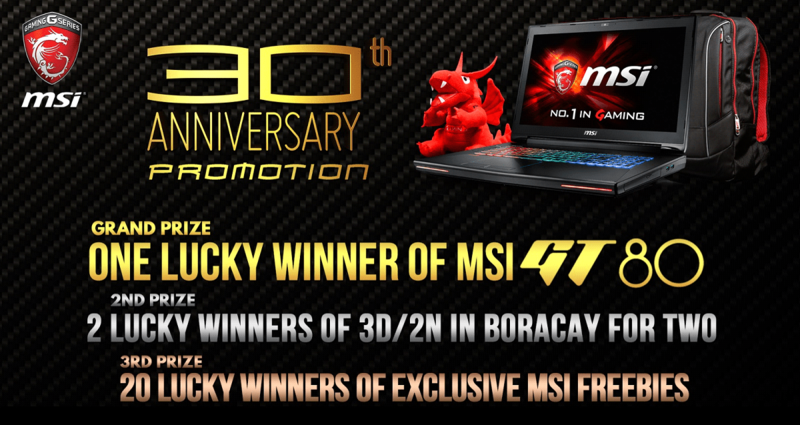 authorized MSI stores from August 4 until September 4, 2016 to qualify for the raffle draw.